Pi Kappa Alpha License Plate Frame. Perfect Accessory for any car or automobile! Comes in Pi Kappa Alpha Colors with a Metal Finish. 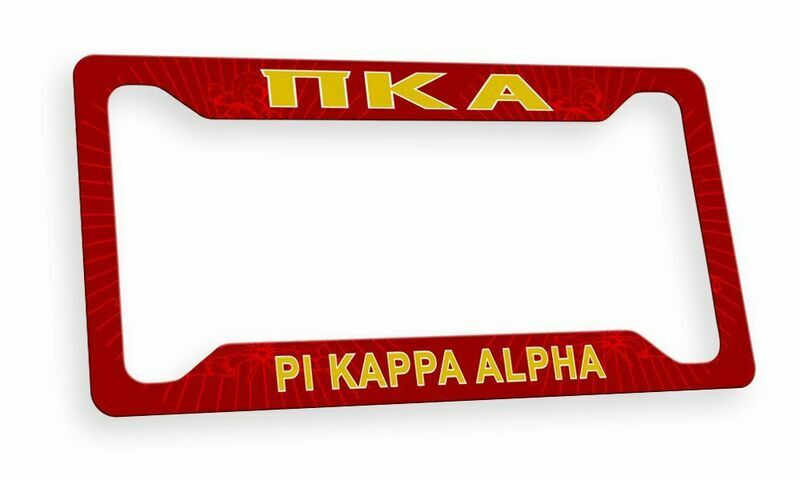 Click here to see other Pi Kappa Alpha Car Accessories!